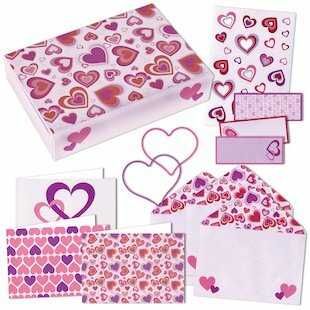 Wear your heart on your sleeve and tell your best friends that you care with gorgeous notes from this dinky mini kit. 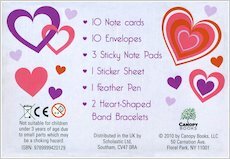 Heart-shaped bands, stickers, note cards and a fluffy feather pen. 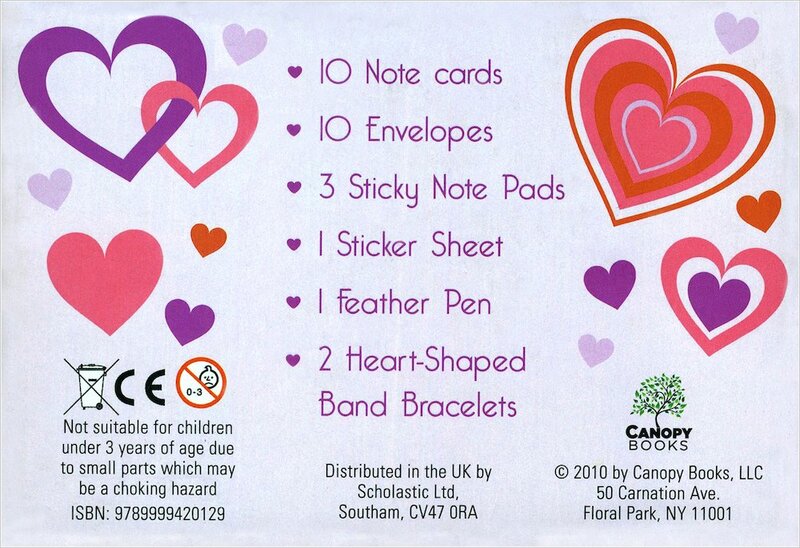 All the stuff you need to send your love! This stationery box contains pretty cards in two designs, plus decorated envelopes, the cutest sticky note pads and lots of adorable extras. Pass on your love to friends and crushes with cute-as-candy treats that they’ll adore! Box includes 10 note cards and 10 envelopes, a fluffy pen, sticker sheet, 3 sticky note pads and 2 heart band bracelets. Really cute! I just love buying these little stationary boxes!